Let’s face it, not everyone is itching to talk about the latest ventures in health care, but that’s changing in 2016. As the industry itself expands, out-of-the-box approaches have as well, breaking many traditional molds in health communications. With big changes come big ideas – and health care marketers have delivered in 2016 – producing brilliant campaigns, products and technology. Below are just a few examples of how the industry is owning 2016. You read that right; just in time for all of you seasonal allergy sufferers, salvation has arrived. Most coffee lovers already think of their Keurig as a life saver, but this relationship is about to be taken to the next level. 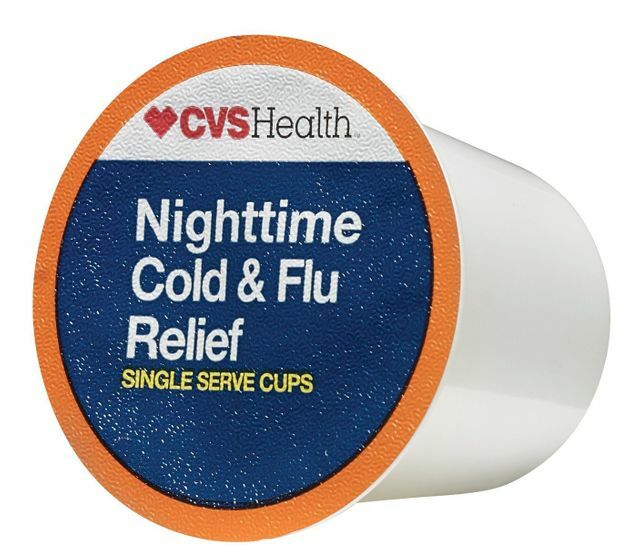 In late August, CVS released daytime and nighttime flu medicine pods that are compatible with Keurig, ultimately injecting the soothing powers of flu medicine into a warm, cozy drink. As Instagram has grown, so has the age of social influencers. We see strangers all over social media who suddenly become role models, style icons, idolized artists, or at the very least, a new form of entertainment. However, when you don’t know someone outside of the life portrait they choose to paint on social media, do you really know them at all? AddictAide, a French organization focused on providing resources for addiction, addressed this in an intricate social campaign. The organization created “Louise Delage,” a 25-year-old Instagram persona documenting an extravagant and spontaneous lifestyle that was quickly coveted by users of the platform. Louise reached Insta-star status, gaining 16,000 followers and 50,000+ likes in a matter of a few months. AddictAide discreetly hinted to another aspect of Louise’s lifestyle that her thousands of followers failed to notice: alcoholism. This was brought to light in the video below, and the “Like My Addiction” campaign was revealed. The campaign, birthed by French agency BETC in partnership with AddictAide, saw five times their usual amount of website traffic and resulted in over 100 media mentions, all within a few hours of the reveal and without any media investment. Today, Louise’s Instagram account has more than 101,000 followers. 3. Snap It: Do more than share your food; track it. If you’ve ever made an effort to eat healthier or monitor your weight, chances are you’ve downloaded a health app to aid you in the process, such as MyFitnessPal or FitBit. These apps can do everything from food logging and calorie counting, to tracking exercise and movement throughout the day. The Lose It! app decided to take this one step further. An added “Snap It” feature uses image-recognition software to guess what you’re eating and logs the calories accordingly. While the feature is still in the beta phase, the software itself is a huge step in health management technology. After garnering such innovative wins in 2016 for the health industry, there’s seemingly no limit for what’s to come. As the year starts to come to a close, the successes of 2016 only bring optimism and further drive inspiration for what the industry can accomplish in 2017. What health campaigns, advertisements or new products stuck with you this year, and what is it that makes them resonate with you?